Experienced pediatric doctor’s blog will address children’s health issues such as vaccinations, maintaining healthy weight, and vitamin supplements. 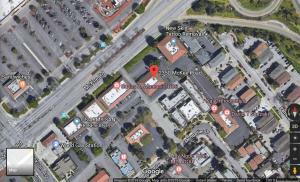 SAN JOSE, CALIFORNIA, UNITED STATES, April 8, 2019 /EINPresswire.com/ -- Doctor Kenneth Rebong, an experienced pediatrician, started a Blog to provide easy-to-understand information about the many pediatric and health issues so that the public and patients can easily understand the underlying medical issues and treatments. The Blog is available at https://drkennethrebong.wordpress.com/. For example, many people hear and talk about diabetes, which affects many children. According to the Centers for Disease Control and Prevention (CDC), 208,000 people younger than 20 years have been diagnosed with type 1 or type 2 diabetes. Diabetes is a disease characterized by high sugar/glucose levels in your blood. Glucose is generally found in the foods you eat. The hormone insulin helps this glucose to enter your cells, and release energy. As per the CDC, there are currently 30.3 million people in America that suffer from diabetes. Diabetes can further be broken down in Type 1, Type 2 and Gestational Diabetes. Dr. Rebong cautions patients and their parents to review medical issues with their primary care pediatrician who has their medical history and other relevant information. 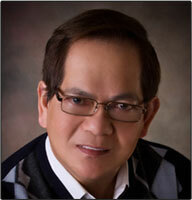 Dr. Kenneth Pomar Rebong, MD, a medical doctor in San Jose, California, focusses on pediatrics. He graduated from FEUNRMF University, Manila and completed his Pediatric Residency at RUTGERS University, New Brunswick, New Jersey. As a pediatric nurse at St. Jude Children's Research Hospital, Susan has worked in research, clinical care and at the patient bedside.